Excited about your first ski trip, but not sure what clothes and ski gear you’ll need? If you’re new to skiing, figuring out what to take can seem complicated, but we’re here to make things easier for you. 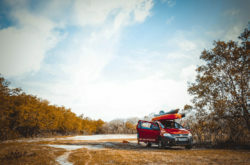 Preparedness can either make or break your experience and if you don’t have the proper clothing and gear, it can turn you off skiing altogether. The most important thing is to find skiing apparel that will keep you warm, dry, and comfortable, while also allowing you to have a full range of movement. Ready to get started? Skiing can give you a fantastic feeling of excitement and lots of thrills. The snow and outdoors is a fun and rewarding experience, and we are here to guide you in choosing the right ski gear and ski clothes. Read on for the best ski essentials for beginners! It’s vital that you choose the correct ski gear. If you’re just getting into skiing, one route you can choose is renting your equipment. That way you can try and test them in order to get you through the initial skiing stages. Once you get bit by the skiing bug and you’re more knowledgeable about what you like and what makes you comfortable, you can buy your own gear. There’s no getting around the fact that skiing gear can be expensive, but starting off with the right ski equipment means you’ll have an investment that will last for years to come. Before buying or renting, make sure you do some research and take your time to look over all your options. 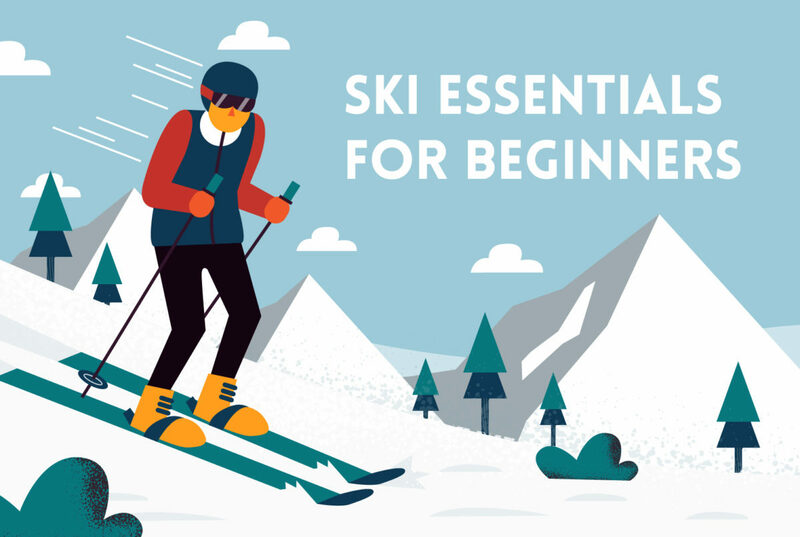 A pair of skis is an obvious piece of essential ski gear for beginners. If you are going on your first ski holiday, then rent a pair from a reputable ski shop or a ski resort. Don’t lie about how experienced you are with the rental employee, as your safety could be compromised. Get their advice, as they will know best and will be able to set the ski bindings and give you the proper ski length, based on your ability and weight. The ski bindings will lock your boots in place, and release in case you fall, so it is vital that the rental shop sets your bindings correctly. As fun as skiing can be, it can also be dangerous, particularly when you fall. Helmets can reduce the chances of a head injury by 60%, so having a helmet can make a considerable amount of difference, as it could end up saving you a visit to the ER. A helmet is one of the best investments as you can avoid a serious blow to the head, while also offering extra warmth and comfort on freezing days when zipping down a mountain. As we mentioned above, we recommend you rent a helmet if this is is your first ski trip, just make sure it fits you correctly. It’s vital that you learn how a ski helmet should fit so you can get proper protection. It needs to cover all of your forehead, and the chin strap needs to fit under your chin securely. It’s important to note that the majority of ski helmets can be adjusted, so they fit perfectly. When trying it on, move your head around, making sure that the helmet stays put and doesn’t move around. When it comes to ski helmets, there are two options to choose from: half shell and full shell styles. Half shell helmets are more common, but for beginner skiers, a full shell helmet is best. The helmet should have a hard exterior shell, protecting you from any objects such as tree branches, as well as protecting you from the force of impact if you should fall. The surface needs to be made of a material that can withstand an impact, such as ABS or other plastics. The inner protective liners must offer sufficient head protection, as they need to dissipate any impact. 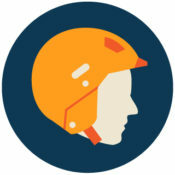 Therefore, in the event of a bad fall, what will be damaged is your helmet, not your head. Replace your helmet once it has suffered any damage. Whether you’re a beginner or an experienced skier, a good pair of goggles need to be part of your essential ski gear. Goggles help in protecting your eyes from snow blindness and the sun, as well as protecting them from harmful UV rays at high altitudes when you’re up the mountain. And if those are not enough reasons to invest in a good pair of goggles, they will also protect you against fog and snow debris, which can be irritating to your eyes, and dry and itchy eyes can end up cutting your day short. Something to keep in mind is that goggles are designed not to fog up, so if you’re fighting with foggy goggles, they need to be fitted more tightly. Ski boots need to fit correctly, as a proper fit will give you a better chance of controlling your ski movements. Basically, if you have the right ski boots, you will be able to ski more easily and therefore enjoy your day without worrying about tripping or painful feet. For beginners, the best thing to do is rent your boots, and don’t rush the process. Try on a few pairs of boots and decide what style works best for you, and don’t be afraid to ask for advice. The fit in your boots should have enough room for your toes to wiggle, as there’s a high chance of your feet getting cold if there’s not enough space in your boot. However, they should also be snug enough so that you can’t turn your foot inside them, as there will be more of a risk of uncontrolled movements that can lead to falls and injuries. When you’re ready to buy your first pair of ski boots, you need to understand their basic construction. You need to purchase boots that are made out of snow proof and waterproof materials, ensuring that your feet stay comfortable and warm. For extra comfort and cushioning, look for padded insoles. Ski boots come in loads of varieties of foot shapes, sizes, and skiing styles, so take your time and try on loads of boots before settling on your purchase. 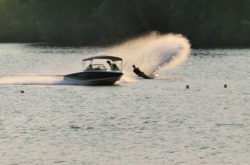 Remember, a well-fitted and high-quality boot will provide you with better control as well as giving you more comfort. Some people take their ski wear items lightly, but they are just as important as your other gear. If you don’t have the proper clothing, you’ll get wet and cold quickly, which can put a damper on your day. Therefore, you need to get correct ski wear that can keep you cozy and warm all day. You are definitely going to want to stay dry when skiing, so you need tough outerwear that will be able to withstand the weather conditions. The type of outerwear you choose will depend on the kind of conditions you’ll be skiing in most of the time, but whatever model you choose, just make sure that its waterproof. Gortex and similar fabrics are manufactured to stay dry even if its snowing or you take a tumble. Something else to take into consideration when purchasing outerwear is how breathable it is. Technology is improving each season, but it seems to be that the more waterproof the jacket, the less breathability it offers. 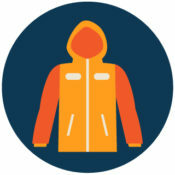 If you get warm quickly, look for a jacket with pit zippers, so you quickly let in some air and avoid overheating. Another factor is to decide if you want a simple shell or an insulated jacket. Shell jackets are not enough to keep you warm by themselves, so additional layers underneath are required. However, they can be more versatile, since your temperature can be adjusted by adding or removing a base layer. If you are planning on skiing in the spring or warmer winter climates, or are looking to get into backcountry or cross-country skiing, a jacket with light insulation or a shell jacket should be your go-to. If you are going to do most of your skiing in colder climates, choose an insulated jacket. High-quality base layers will regulate your temperature as they will wick sweat away from your skin while providing added insulation. Base layers are available in different weights, from light to heavy, and should be combined depending on the current weather conditions. 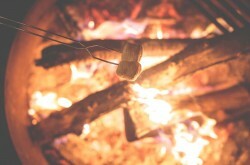 While base layers can be made out of several materials, the one you need to keep away from is cotton, as it gets wet easily and does not wick away moisture. A popular material is wool, which stays mostly odor-free, is excellent at moisture management, and can last for years. You can also look for base layers made out of synthetic materials such as polyester or polypropylene, which can be cheaper and lighter than wool. The material is up to your personal preference, and if you have a workout shirt with moisture-wicking material, it can work as your base layer, as long as you add other layers to stay warm. Along with your base layer trousers, you’re also going to need a pair of ski pants. As a beginner skier, chances are you’ll spend a lot of time falling, so you need a pair of comfortable ski trousers. These should be waterproof and insulated. The fit of your ski trousers should not be so loose that you’re always pulling them off or so tight they’re restricting your movements. Your pants need to be roomy enough that you have freedom of movement, particularly around your knees and hips. Your socks are just as essential as your base and outer layers. The best materials for ski socks are nylon or acrylic, as they will keep your feet warm. 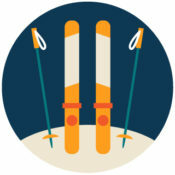 Make sure that your socks reach above your boot line, to avoid cold ankles while skiing. And as always, stay away from cotton socks. 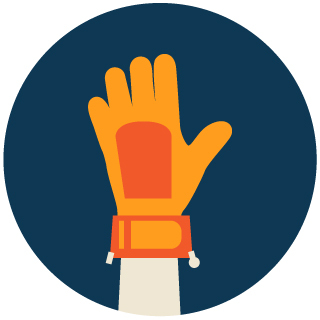 Gloves or mittens will keep your hands comfortable and dry, and they can make all the difference during your ski trip. You don’t want to have cold fingers and risk the chance of getting frostbite, so a good pair of gloves is essential. We recommend getting a pair of gloves with adjustable cuffs so that no snow can reach your hands from the hem. Fleece lined gloves will give you extra warmth, so consider them if you tend to run cold. There are two types of gloves to choose from: waterproof of snowproof. While your choice is down to personal preference, we should note that waterproof gloves come more highly recommended, as they are fabricated with both waterproof and snowproof fabrics, which will keep your hands warm, dry, and comfortable while you hit the slopes. This piece of gear is optional, as you can otherwise just wear your own winter scarf. Nonetheless, you may want to consider a Merino wool of soft fleece neck warmer as it will stay in place all day while skiing and will fill the gap between your helmet and the ski jacket, which will stop the wind from running down your neck. In severe weather conditions, adding a thin balaclava to your gear is also recommended. Most multi-resort or larger ski resorts will require a lift pass, however, most beginners don’t have to purchase one. Good news, as they can be quite expensive! Take advice from your ski school before buying a lift pass, as they can advise you on which ski areas you can access without one, and suggest which one you need to buy if you do need one. For all ski beginners, ski lessons are a must. Most ski schools will have the option of private or group lessons, but if you have some money to spend, consider private instruction as it will mean you have the ski instructor’s undivided attention and can be a worthwhile investment. However, don’t discount group lessons, as these can be loads of fun, and you’ll get a chance to meet new people and share a fantastic experience. High-quality gear can make your skiing holiday more enjoyable, but if you’re just starting out, it can be a good idea to look for second-hand gear, rentals or buy off-season. Above all, stay safe and have fun!